Toto USA is a name that reflects products with the consideration of people and their necessities. Selecting a Toto product for your washroom is itself a complete upgrade and it guarantees scalable upgrade of deliverables of a washroom. As all say, a bathroom is a personal space and Toto products and solutions assist in making your washroom a real time intimate space for you. Smart designing and simple user interface makes Toto products integrate smoothly in virtually every type of contemporary and demanding washroom. Toto unleashes the real potential of a washroom to please you in the real time. Bathing is rather a mundane activity for many and Toto makes it sensationally enticing with the presentation of Cast Iron Bathtubs. These exclusive bathtubs offer unrivaled longevity and performance beyond the imagination. The typical drop-in styled installation of the tub assures that you get the most exciting integration in a hassle-free manner. These tubs have a slip-resistant surface and Toto provides them in the form of a deep soaking well for assisting you to spend some quality time in a tranquil ambience. These Toto bathtubs are a seamless avenue for a reenergizing and invigorating experience of a refreshing bath. Toto FBY1515LP#01 Cast Iron Bath Tub is a timeless product designed to add verve to your washroom use. The bathtub with cast iron architecture offers excellent longevity rather more than you ever imagine. 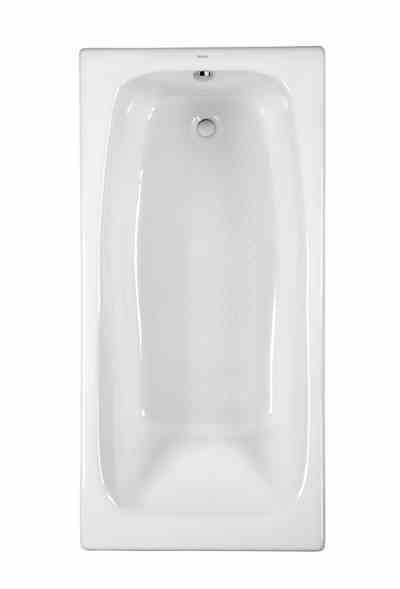 The bathtub is supplied in 59-3/4" x 30" x 14-11/16" size offering a large and deep soaking area. The apron front and slip-resistant floor ensures a superb user interface. The tub has tile-in flanges on 3 sides. 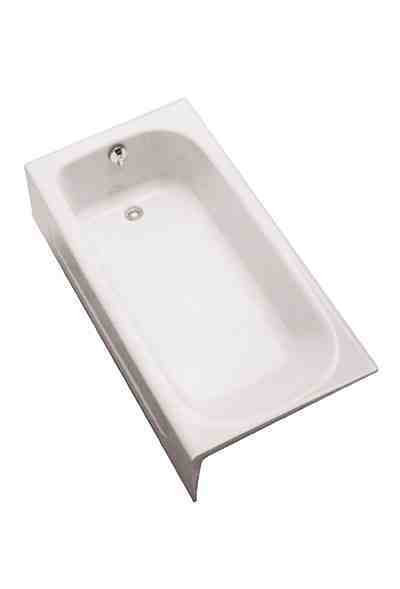 The tub has a left-hand drain and it is supplied in cotton finish. The Toto product meets ASME A112.19.1/CSA B45.2 standards. Toto FBY1525LP#01 Cast Iron Bath Tub offers a reliable interface to add personalization while you spend some precious moments in your washroom. The tub comes with a sturdy architecture featuring cast iron construction for matchless longevity. Toto presents the tub with an user-friendly interface for exciting use. The tub has a front apron, left hand drain, and slip resistant floor for superb user experience. Toto offers a thoughtfully designed product to change the potential of deliverables of a washroom to its best. The tub fits in drop-in style. This exclusive Toto product meets ASME A112.19.1/CSA B45.2 standards assuring peace of mind out of pure performance. Toto FBY1700P#01 Drop-In Cast Iron Bath Tub is a derivative of mature designing with featured benefits to improve the total user control while using the washroom. The tub has cast iron architecture and it fits in a drop-in style. Toto integrates numerous safety features like the slip resistant floor. The tub meets ASME A112.19.1/CSA B45.2 standard ensuring the delivery of a seamless performance every time the bathtub is used. Unleashing the experience of a rejuvenating bath is sensational with Toto and its amazing products. 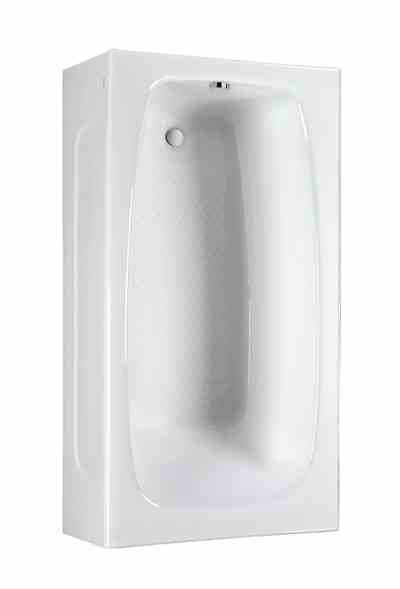 66" x 32" x 18-5/16" size of the tub offers a luxurious experience of using a deep soaking well. Toto offers a refreshing feel of a marvelous bath with its premium collection of Cast Iron Bathtubs. These exquisite products are aimed at integrating smoothly and offer a complete transformation of the washroom ambience. Using Toto products is breathtaking as it opens a brand new avenue to enjoy every moment intuitively.